Mmm, this picture is an oldie but a goodie. 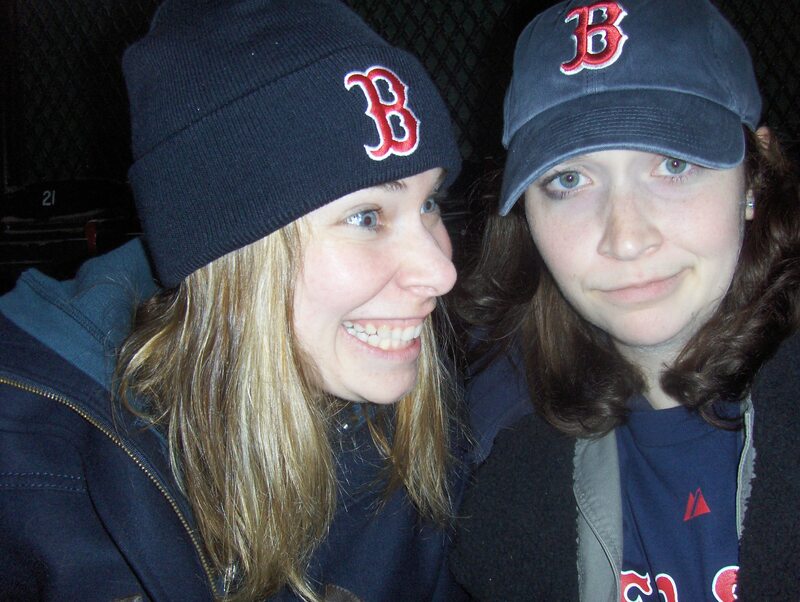 This is my sister Kate and I circa 2008, waiting out a rain delay at Fenway Park by drinking beer and taking silly pictures. Have I mentioned before just how much I love this flesh and blood of mine? The two of us love books. She became a librarian, and I became a receptionist/wannabe writer/drown my sorrows with beer and books. Kate started making lists of books to recommend friends, and my co-workers have begun to always ask me what I’m reading as the variety never seems to disappoint. So we decided to put a blog together of book recommendations. It’s also a fun way for the two of us to keep in contact about what we are reading. Head on over and check it out. If you’ve read any of the books, feel free to leave comments as well. The blog is just a baby at the moment, but one day maybe we’ll have a lovely little reading community!